It was another quiet week at SanibelSusan Realty, hopefully the weekend will bring some serious lookers. The Memorial Day holiday is a wonderful time to be on the islands. Bright blue skies are expected with daily temperatures in the high 80’s, low 90’s. An occasional late afternoon shower by the weekend could bring in those popcorn-like clouds that usually ensure a terrific sunset. Here’s a little news, followed by the Sanibel & Captiva Islands MLS action for the past seven days. Here’s a tidbit that we are going to add to our repertoire when visitors ask us what they should do when they are in the islands. On June 1 from 9:15 to 10 a.m. the Sanibel Trails & Tales Coalition will provide a unique visitor program featuring award-winning images at the J.N. “Ding” Darling National Wildlife Refuge welcome center auditorium. This is a program that gives visitors an “up close and personal” look at the five partners and pristine eco-adventures available on Sanibel and Captiva, so that they can better plan their island vacations. Registration is at www.sanibeltrailsandtales.org. I read an Associated Press article this morning from Los Angeles that reported that Florida now ranks 5th for foreclosures, with RealtyTrac saying that 32% of Florida sales in the 1st quarter were foreclosures, each selling for about 15% less than non-foreclosures – the lowest price difference in all states of the top 10 with foreclosures. “Though sales of homes in some stage of foreclosure declined in the first three months of the year, nationally, they still accounted for 28 percent of all home sales – a share nearly six times higher than what it would be in a healthy housing market. “The pace at which homes are entering the foreclosure process has slowed in recent months amid bank and court delays. But distressed properties remain a fixture of a housing market still searching for a sustained recovery. The properties, often in need of repair, typically sell at a discount, weakening prices for other types of homes. “As a slice of all home purchases, foreclosure sales peaked two years ago at 37.4 percent. In the first quarter, they rose from 27 percent in prior quarter, but fell from 29 percent a year earlier, according to RealtyTrac. “Sales of foreclosure properties didn’t fare much better than other types of homes, however. “RealtyTrac estimates there are 872,000 homes that have been repossessed by lenders, but have yet to be sold. At the first-quarter’s sales pace, it will take three years to clear the inventory of 1.9 million properties already in some stage of foreclosure. For bank-owned properties alone, that amounts to a 2-year supply. “Homebuyers who purchased a bank-owned home in the first quarter saved an average of 35 percent versus the average price of other types of homes, RealtyTrac said. That discount is unchanged from the previous quarter, but up from an average of 33 percent a year ago. “Buyers who snapped up other homes in the foreclosure process, including short sales, got an average discount of 9 percent, the firm said. That’s down from an average of 13 percent in the fourth quarter and an average of 14 percent a year ago. In a short sale, the seller and their lender agree to sell the home for less than what is owned on the mortgage. “The biggest foreclosure discounts were to be had in Ohio, where foreclosure properties sold for an average of 41 percent less than other types of homes, RealtyTrac said. “At a state level, Nevada led the nation with foreclosure sales accounting for 53 percent of all home sales, RealtyTrac said. That was down from 59 percent the year before. The state has the highest foreclosure rate in the nation and an inventory of nearly 28,000 bank-owned properties on banks’ books. Buyers scooping up foreclosure properties there in the first quarter got an average discount of nearly 18 percent compared to the average sales price of other types of homes, RealtyTrac said. “In California, foreclosure sales accounted for 45 percent of all home sales in the first quarter, down from nearly 48 percent a year earlier. The average foreclosure property sold for nearly 34 percent less than the average sales price of homes not in foreclosure. “In Arizona, foreclosure sales represented 45 percent of all home sales for the quarter, down from 47 percent a year earlier. 7 new listings: Spanish Cay #A1 2/2 $319.9K (our listing), Captains Walk #A8 2/2 $350K, Ibis at the Sanctuary #A-101 2/2 $389K, Ibis at the Sanctuary #B-302 3/2 $475K, Loggerhead Cay #233 2/2 $495K, Sand Pointe #227 2/2 $649K, Sundial #E201 2/2 $869K. 8 price changes: Sanibel Moorings #241 1/1 now $279K; Sundial #F307 1/1 now $299K; Sundial #B301 1/1 now $329,999; Sanctuary Golf Villages I #3-2 3/3 now $549K; Loggerhead Cay #211 2/2 now $575K; Pointe Santo #D2 2/2 now $619.9K; Loggerhead Cay #521 2/2 now $675K; White Pelican #111 2/2 now $1.125M. 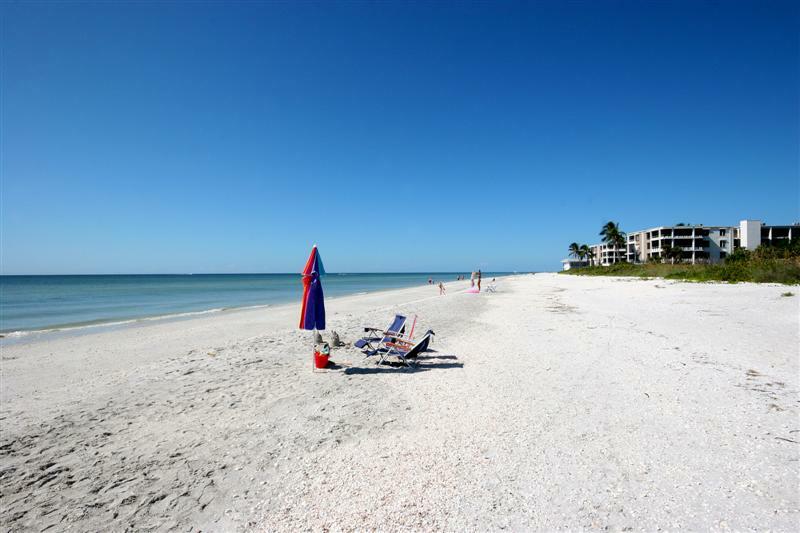 3 closed sales: Sanibel Moorings #232 2/2 $395.4K, Moonshadows #1B 3/3 $667K, Plantation Village #A112 3/2 $880K. 3 new listings: 998 Greenwood Ct N 3/2.5 half-duplex $335K, 1574 Sand Castle Rd 3/2 $579K, 1287 Par View Dr 3/2 $824.9K. 9 price changes: 2425 Los Colony 3/2 now $299K (short sale), 617 Lake Murex Cir 3/2 now $585K, 4632 Rue Belle Mer 3/2 now $589.9K, 1148 Harbour Cottage CT 3/3 now $749K, 618 N Yachtsman Dr 3/2 now $899K (short sale), 6076 Castaways Ln 3/2 now $900K, 970 Victoria Way 3/3 now $1M (short sale), 1360 Eagle Run Dr 5/3.5 now $1.089M (short sale), 720 Periwinkle Way 3/3.5 now $1.55M, 2969 Wulfert Rd 6/6/2 now $3.699M. 1 new sale: 1431 Sand Castle Rd 3/2 listed for $715K. 6 closed sales: 1467 Sand Castle Rd 3/2 $400K, 849 Beach Rd 4/4 duplex $402.5K, 3570 Bunny Ln 3/3 $578K, 1241 Par View Dr 3/2 $750K, 1214 Buttonwood Ln 3/3 $965K, 1320 Seaspray Ln 4/4.5 $2.5M. 1 new listing: 4077 Coquina Dr $349K. 1 price change: 2285 Wulfert Rd now $159K. 1 new sale: 5618 Baltusrol Ct listed for $199,555. 1 new sale: Beach Homes #27 4/3 listed for $2.095M. 3 price changes: 51 Oster Ct 2/2.5 now $750K, 15161 Wiles Dr 5/5.5 now $2.395M, 15867 Captiva Dr 7/7.5 now $6.995M. 1 new sale: 15152 Wiles Dr 2/2 listed for $595K. 1 new listing: 1114 Schefflera Ct $599K.